Peutie is a village 14 kilometres north-north-east of Brussels, lying 2 kilometres east of Vilvoorde on the Brussels-Malines main road. 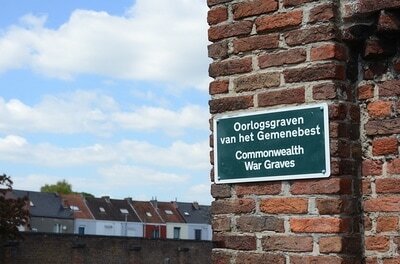 The cemetery is on the eastern edge of the village, on the north side of the road to Perk. 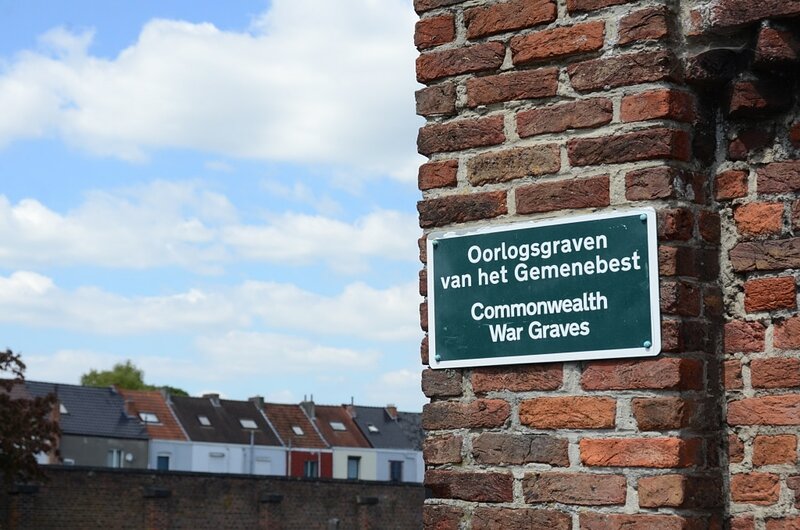 The Commonwealth graves are in the north-western part of the cemetery. 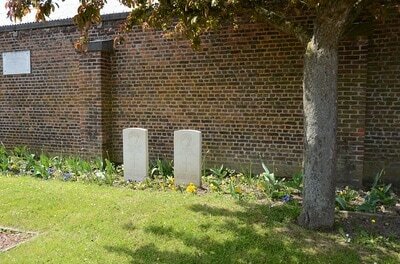 Peutie Communal Cemetery contains two Commonwealth burials of the Second World War. 2609470 Warrant Officer Class III Alfred William Hoare, 1st Bn. 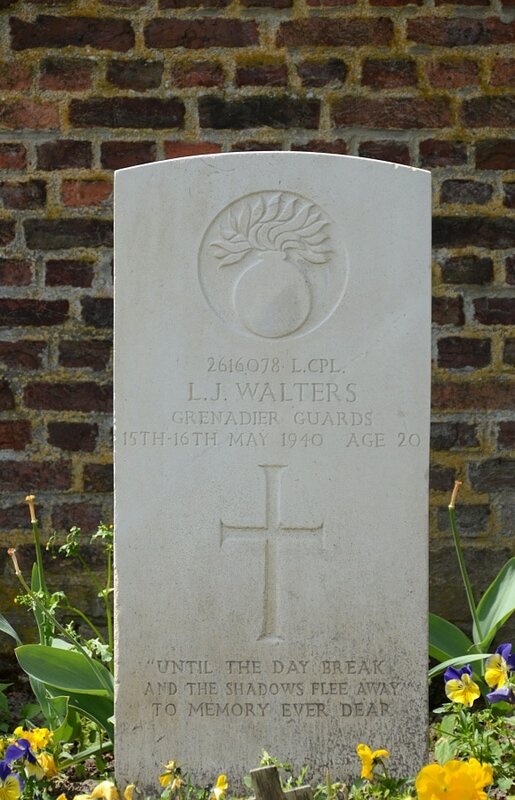 Grenadier Guards, died between 15th May 1940 and 16th May 1940, aged 33. 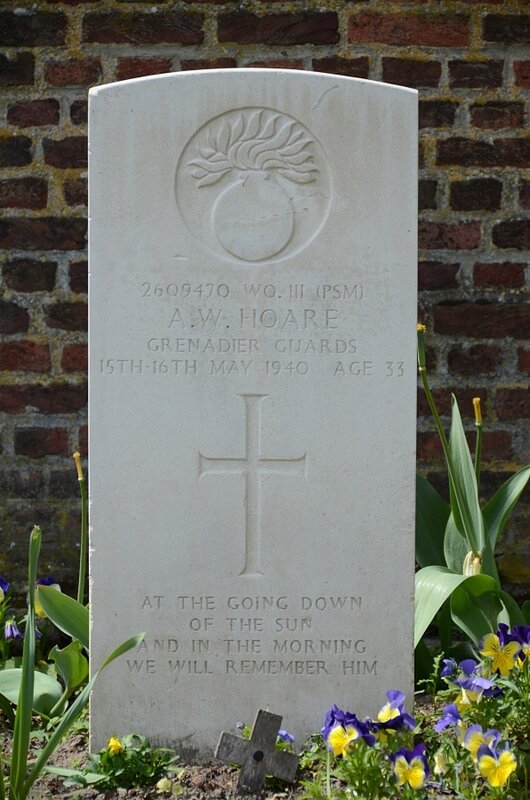 Son of Charles and Ada Hoare, of Cliffe-at-Hoo, Kent; husband of Bessie Georgina Hoare, of Cliffe-at-Hoo. 2616078 Lance Corporal Leonard John Walters, 1st Bn. Grenadier Guards, died between 15th May 1940 and 16th May 1940, aged 20. Son of Ivor G. and Amy E. Walters, of Townhill, Swansea.